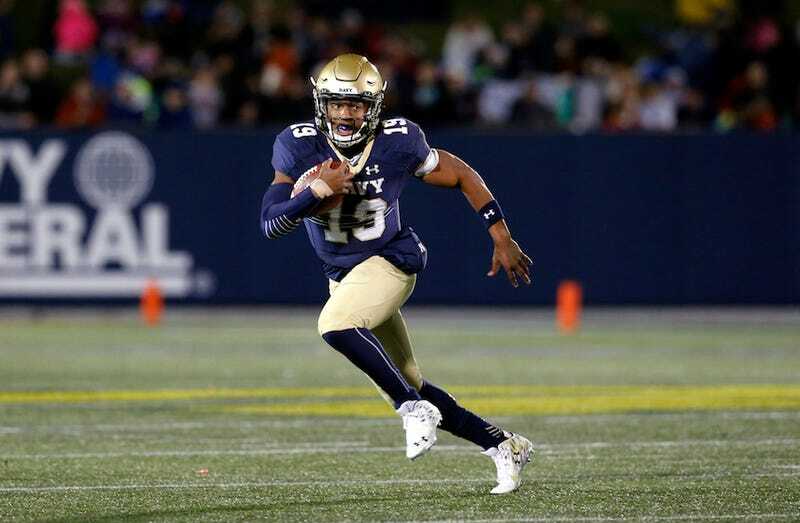 Navy quarterback Keenan Reynolds has been crucial to the program’s success this season. The 9-2 team’s spread option offense relies on his abilities to pass and run. When Nissan and ESPN partnered up to allow the fans to determine one Heisman vote, Reynolds received a lot of support. But, for some reason, it takes more steps to vote for him than for other players in more notable football conferences. When reached by email, an ESPN spokesperson explained why Reynolds wasn’t one of the viewable voting options. The candidates are tied to ESPN’s experts’ poll. Currently, the players on the ballot are Derrick Henry, Deshaun Watson, Christian McCaffrey, Baker Mayfield, Dalvin Cook, Leonard Fournette, and Ezekiel Elliott, so those are the only options. “When the names change on the ESPN Experts’ Poll, they automatically change on the Heisman House site,” he said. Reynolds can still be written in, however. At this time, Reynolds leads with 40 percent of the vote.